I have done some netflow product evaluation specific to Cisco wireless LAN controller traffic. 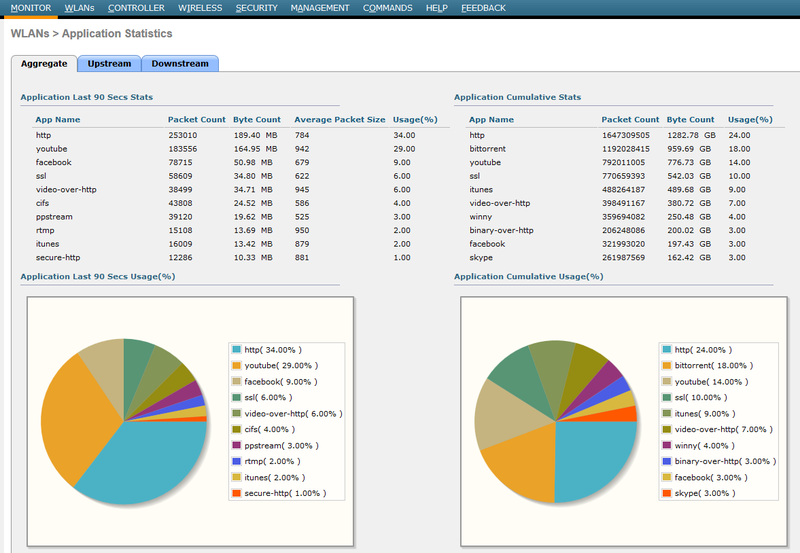 Cisco introduced this netflow feature on WLC 7.4.100.0 code with AVC (Application Visibility & Control). 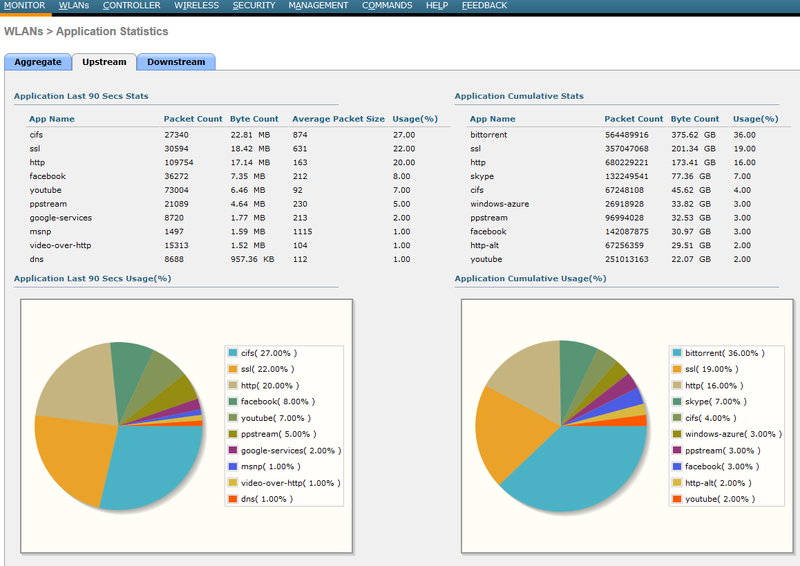 Below shows one of our controller Application Statistics (Monitor -> Applications). 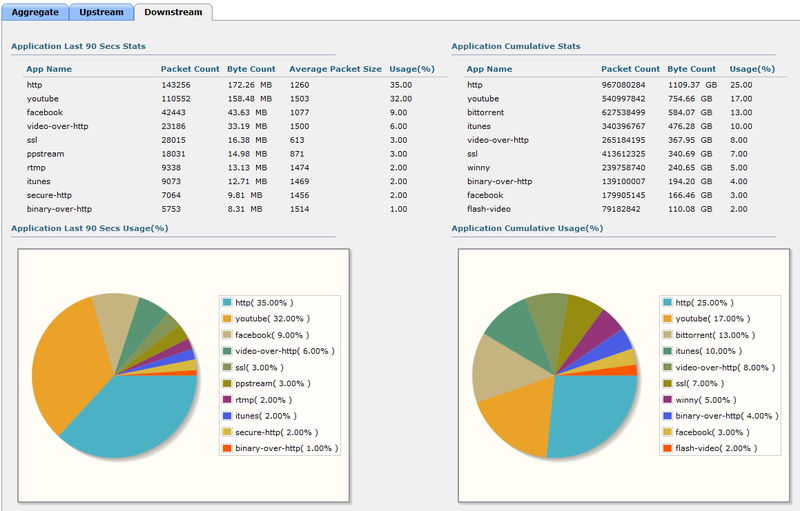 As you can see we can view “aggregate” , “upstream” & “downstream” traffic statistics with individual application breakdown. By exporting these information to a Netflow collector I would expect reporting on these traffic statistics. That was my primary objective. As we did not have Cisco Prime with prime assurance module, I have to rely on other (3rd party netflow tools). I tried this with Fluke NPA, Solarwinds NTA, Plixer Scrutinizer as Cisco document does not specify any limitation with 3rd parties in their document. But later on realized Cisco does not clearly document compatibility with 3rd party NMS. Only Scrutinizer support this netflow export from WLC as at today. 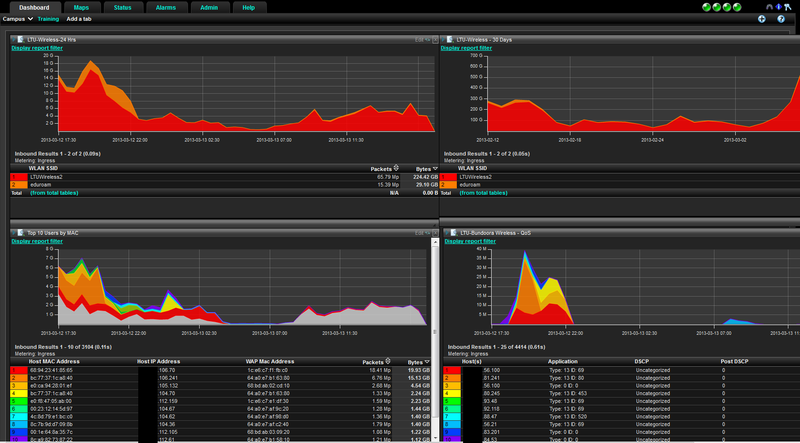 Here is my independent view on this tool with respect to WLC netflow monitoring. 1. We can easily group multiple controllers & reporting based on that. This is extremely useful to get top level view of your wireless environment if you have multiple WLCs in multiple sites. 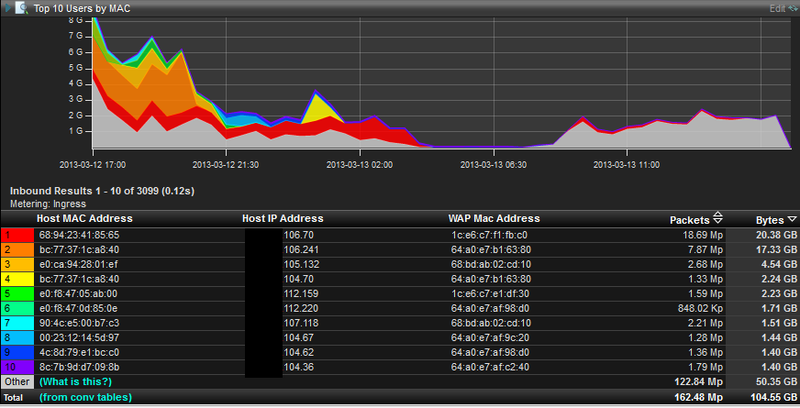 Here is sample report based my wireless network. This has a drawback where I cannot differentiate upstream downstream traffic by using this tool. Cisco is claiming Prime can do this, but I haven’t see it yet. 5. Lack of capability to generate a summary report. There are no way of me to generate customize report combining multiple graphs/tables. From management point of view, I should be able to see a summary report which gives high level overview of my wireless network utilization. 6. Only top 10 will be shown as different colour, If I want to see other than this (top 20, top 50) in graphical view in different colour, it is not available yet. But I think this can be done. So What is the conclusion ? In my personal view, we should wait & see for little more before deciding on a tool. Because cisco is changing their wireless design architecture to “Converged Access” which allow us to terminates all CAPWAP tunnels at access layer. Then there is no requirement to have special collector (like today for WLC 7.4) as everything should be standard netwflow v9.0 & any of netflow collector tool should be able to use. When setting up the Flow Exporter in the Flexible NetFlow configuration, did you include the line “option application-table”? This exports the application names option template which is needed to look up the application listed in the flow template. Without the application-table option template, applications are listed as for example: type 13 ID80. Contact me if this is unclear. Thanks for your comment. I did not do that, If you can assist me to do that bit , it would be really appreciated. Have you tried splunk as a netflow collector? Do you know of any netflow analyer which can give you a cli based report? For ex, no of radius packets from a specific wlc?